It had been an incredible season for the Gresham boys soccer squad. After finishing seventh in the Mt. Hood Conference last year, the Gophers came back to take third in league this season and made the playoffs for the first time since 2013. However, their postseason run came to an end on Tuesday night. Alan Rincon scored both of goals for Forest Grove, including the game-winner in overtime, to help the Vikings upset Gresham by a score of 2-1 in the second round of the 6A playoffs. The loss was hard for Gresham head coach Rex Moffitt. What was even more difficult was watching his 11 seniors walk off their home turf for the last time. "I feel for the seniors. They have been here for a long time and we have so many of them," Moffitt said. "You have to give them credit though because we haven't made it this far in a long time." After getting eliminated in the second round the last two years, this was a very meaningful victory for the Forest Grove program. "I'm very happy for our kids," Forest Grove head coach Gracey Mosquera said. "Last year was tough. But the beauty of this game is that there are second chances. We have been preparing for this moment." For the first 40 minutes of the contest, Forest Grove was the more aggressive team. They may have been a little too anxious at first, getting called offsides twice in the first five minutes of the match. 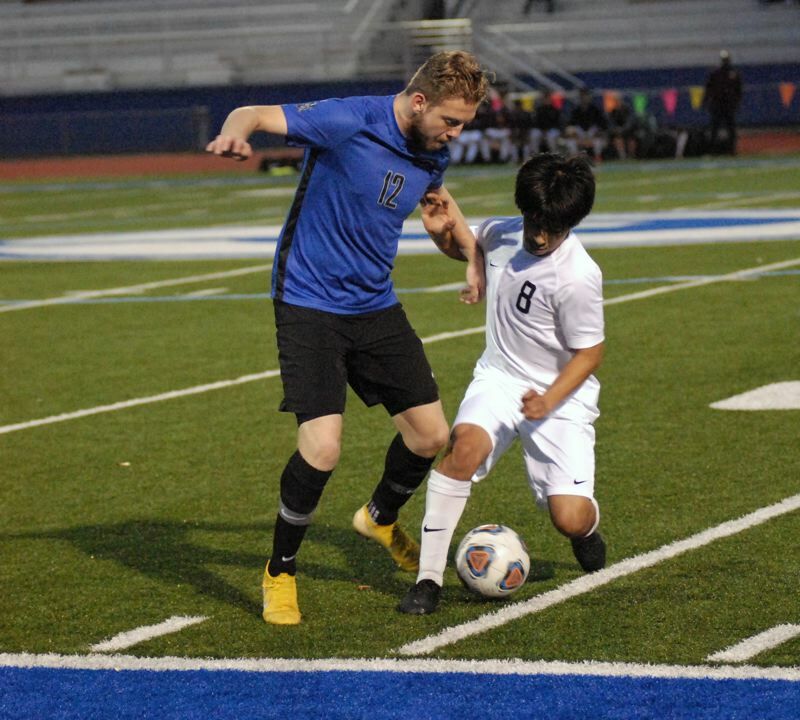 But in the 15th minute, the Vikings offensive assertiveness paid off when Alejandro Sanchez skied a free kick towards the middle of the box from about 45 yards out. After the ball was knocked around by multiple players from both teams, Rincon ended up heading it in off the high bounce to give the Vikings the 1-0 lead. "We were controlling the game in the beginning," Rincon said. "We had a nice set-piece and we just crashed on the keeper, which helped me be able to score." Gresham had a hard time pushing numbers forward in the first half and never really got a clean look at the net. Their best chance came on a free kick from Diego Zamora, but it was headed away deep in the box by Sanchez. But in the second half, Gresham played with much more of a sense of urgency. And in the 70th minute, the Gophers finally broke through.